Who is it for? 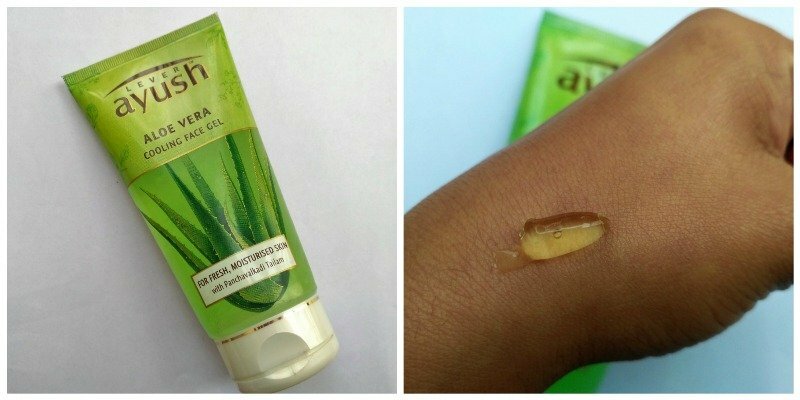 Ayush Aloe vera Cooling Face Gel is for all those looking for an all herbal aloe vera gel at a budget-friendly price with good moisturization. It stays for a good amount of time on the face giving the face a nice glow. It gives a good amount of moisturization to the face even in winters. It gives a cooling sensation after the application which is really soothing and refreshing as well. Any aloe vera gel comes with a promise of a good fragrance and so is this one. It has a very nice refreshing fragrance which keeps me refreshed even in the laziest winter mornings. It comes in 150 ml green colored tube with aloe vera plant printed on it. it has a nice lock and hence, is completely leak proof. It has a very thick gel texture which makes it quite efficient to use. The gel comes in a very light green pigment. What I didn’t like about it? I would love to recommend this as it gives flow to the face and also provides moisturization. Great fragrance, great price loved it.